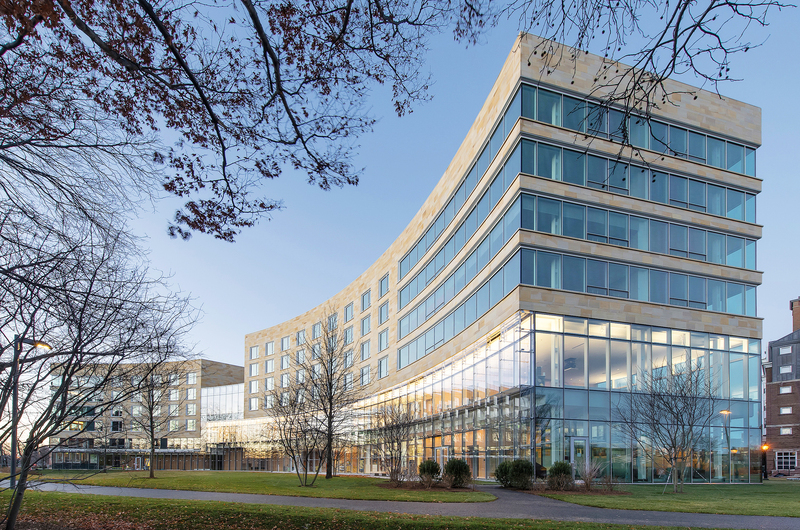 The Tata Hall Executive Education Center serves as a model for high performance building design on the Harvard Business School (HBS) campus. The project’s design is centered on creating a healthy and sustainable learning, living and working environment that is focused on human comfort, energy and water conservation, and environmental stewardship. 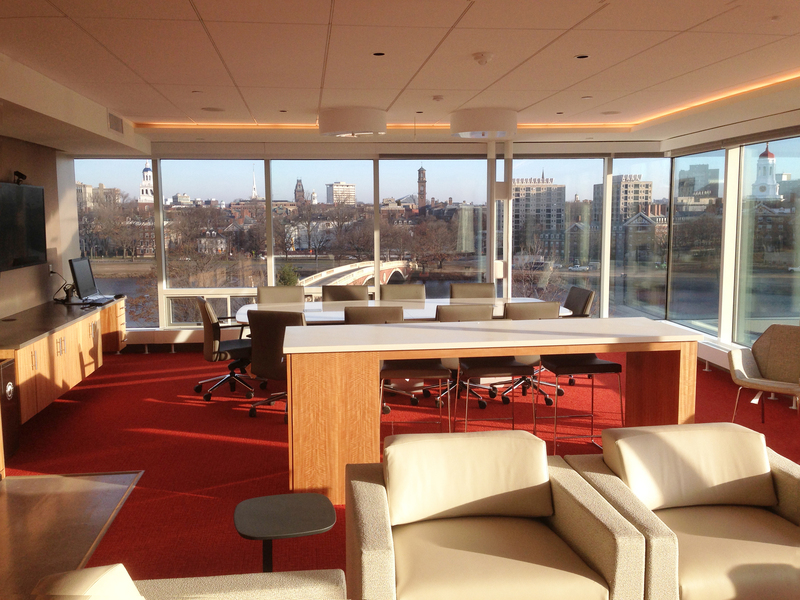 The 7-story, 153,700 square foot multi-use building, located to the west of the Charles River, provides living and learning spaces for the HBS Executive Education Program. Tata Hall houses 22 living groups with 180 bedrooms and associated living group lounges, two 99-person case method classrooms, seminar spaces, project rooms, reception lounges, and administrative offices. The project team applied an integrated approach to sustainable design, which incorporated environmental strategies that influenced all aspects of the building’s design. The site and landscape were designed to integrate strategies to reduce stormwater runoff and create a comfortable outdoor environment. The building envelope was designed to meet a high performance target for occupant comfort while reducing total energy use of the building. 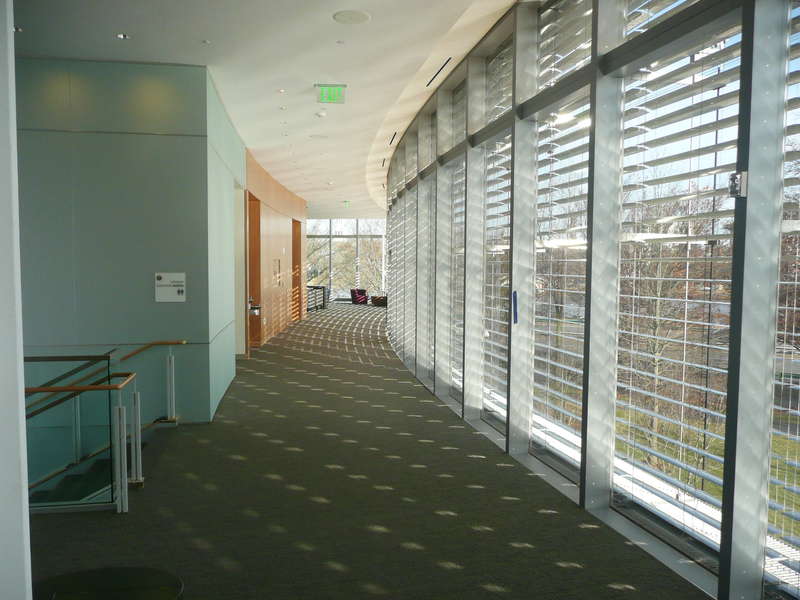 The daylighting design creates well-lit workspaces for students, faculty and staff offering solar control during critical periods of the day to reduce cooling loads and create a high quality visual environment. The high efficiency HVAC system provides comfort, high indoor air quality, user controls, and energy conservation, while the plumbing design strategy conserves potable water use. 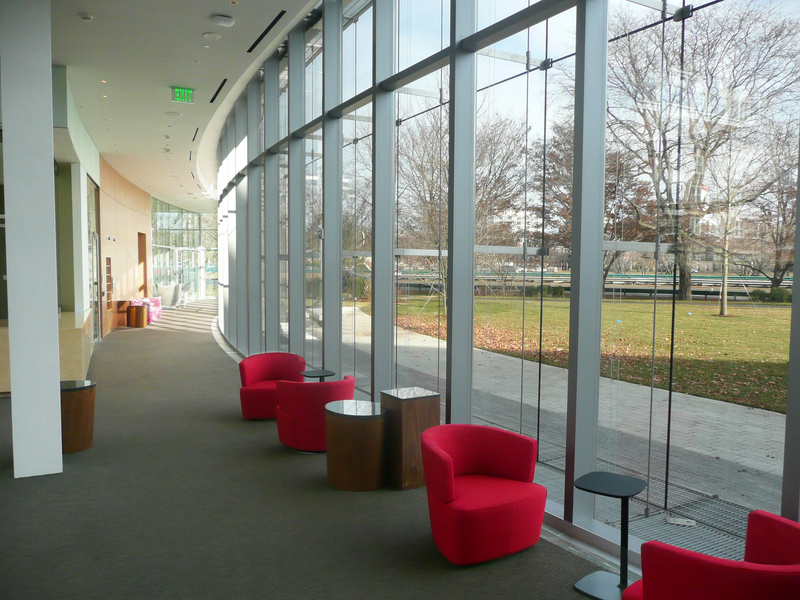 The project design achieved LEED Platinum certification.